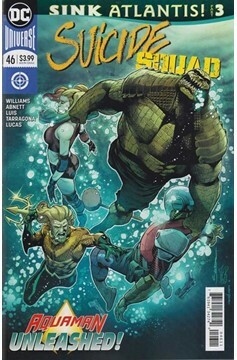 SINK ATLANTIS Part 3-The Aquaman crossover continues in part three of 'Sink Atlantis'! The squad slinks deeper into Atlantis on their mission to sink the risen undersea kingdom. But when Harley reveals that they've got a nuclear bomb in tow to get the job done, the team might just tear one another apart before they're able to complete the task at hand. 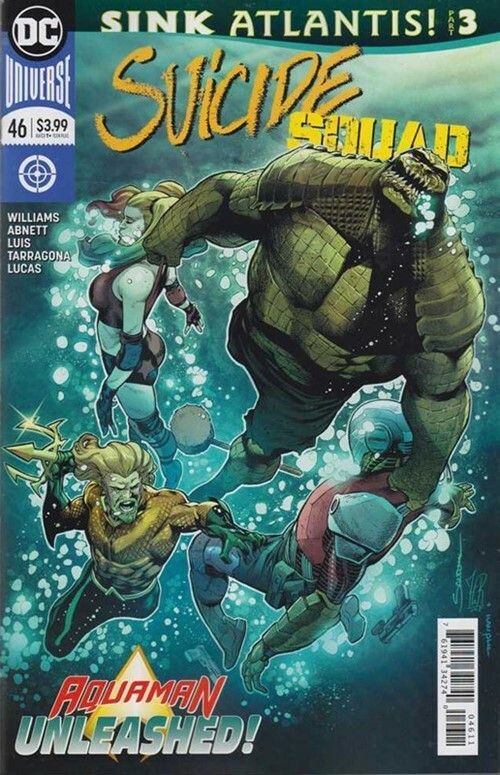 Aquaman confronts the Squad with a gang of his own just as Mera's coronation begins, and the moment you've all been waiting for arrives: Killer Croc versus King Shark!.